Day 18: Favorite Place to Eat. Well, to be more specific, my favourite place to get food in Penang would be at the end of Gurney Drive. The hawker centre. My grandparents used to have a stall there, selling sugarcane (actually I think they sold other drinks too. I just have a clear memory of the sugarcane machine, so to me it was a sugarcane stall). I spent the first few years of my life hanging around Gurney Drive. And I still love going back there now. In continuation of my little tradition, here are my Top 4. O’chien / Fried Oyster Omelette. Possibly my favourite food of all time. I can’t seem to get the Penang style o’chien anywhere else. The ones around KL are flat out crap. 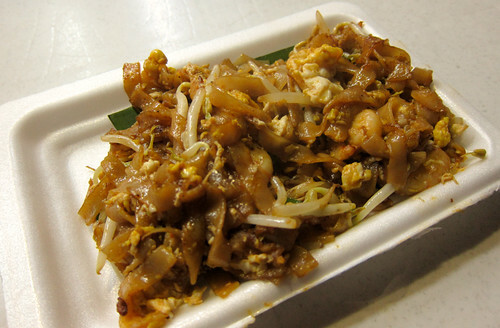 Char Koay Teow with duck eggs. It tastes good with normal eggs, but I like duck eggs so much more. It’s a personal choice though, so if you’re not a fan, stick to the usual. 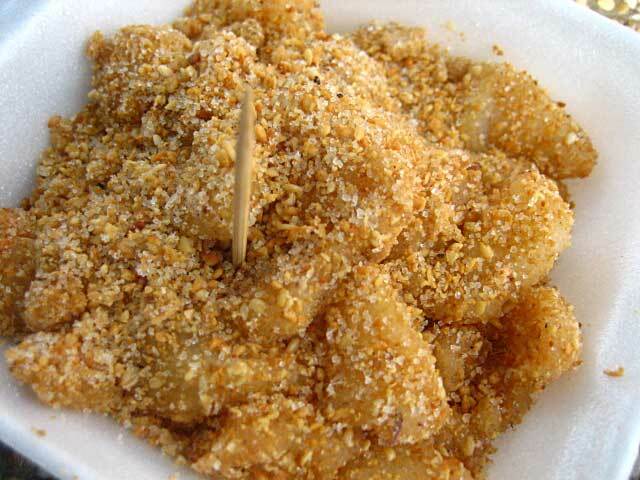 Muar Chee. Sticky rice balls coated with sugar and ground roasted peanuts. Sesame seeds optional. I personally hate sesame seeds. Curry mee. Only worth eating if it’s filled with pigs blood (those maroonish blocks seen left in the picture). I swear, it’s so much tastier than it sounds. 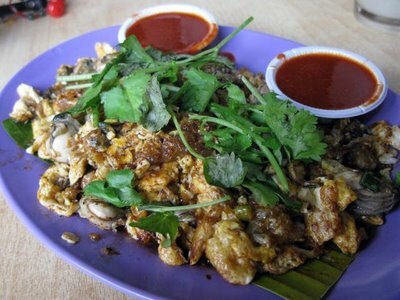 I'm hungry, and you made it worse.. awwwww, I want some penang food now!